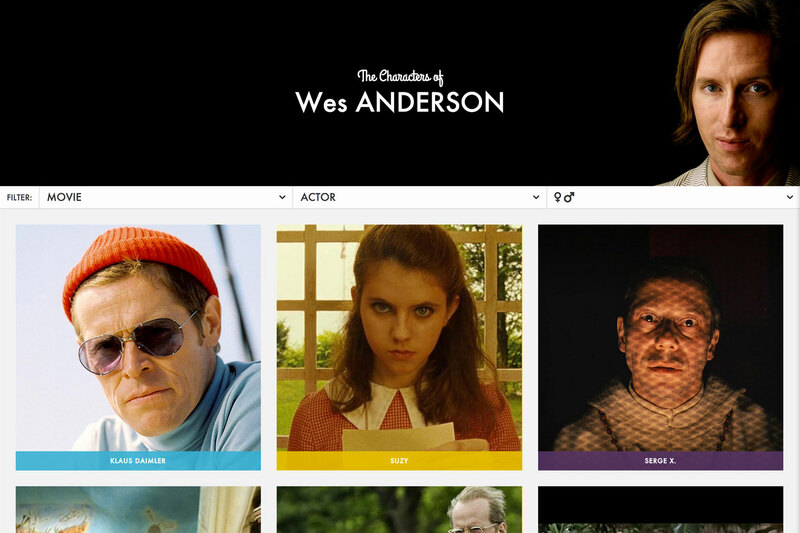 Birthed from the need for a killer Halloween costume and a love of his movies, The Characters of Wes Anderson was born. What started as a simple prototype and a waste of a Saturday evolved into this site showcasing some clean examples of UX. 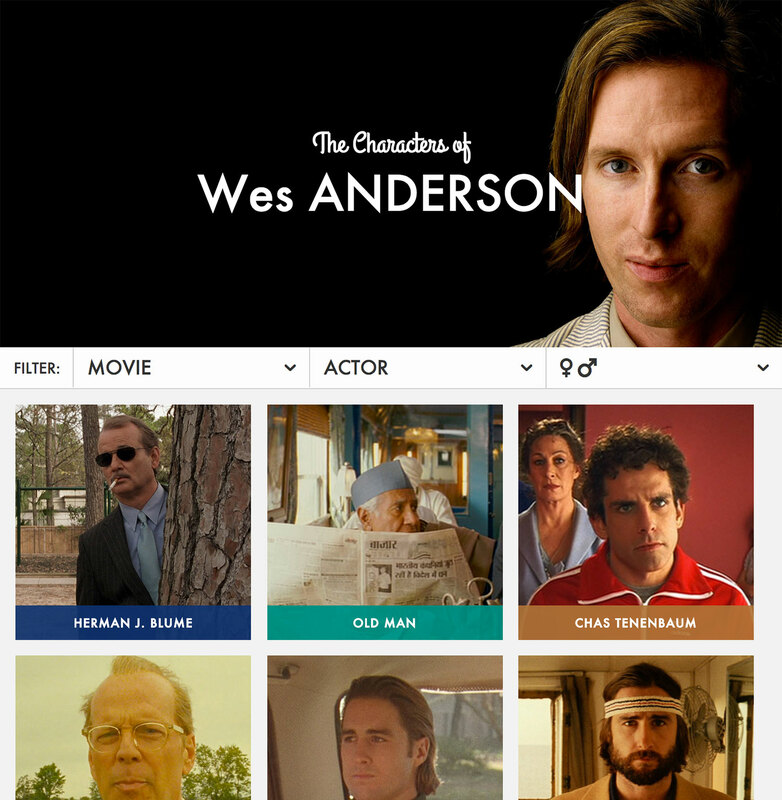 Home Page, Characters can be filtered by movie, actor or gender. 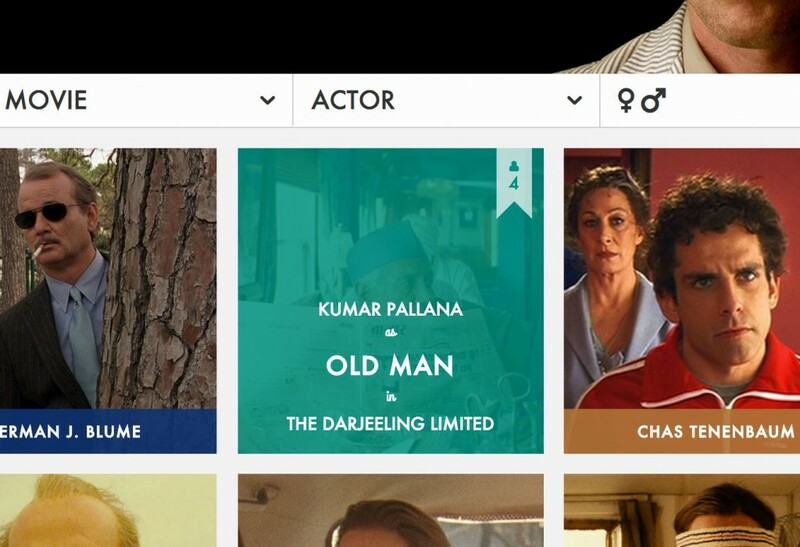 On click, a movie synapsis, the trailer, year it was released and links to the Wikipedia page & IMDB profile.